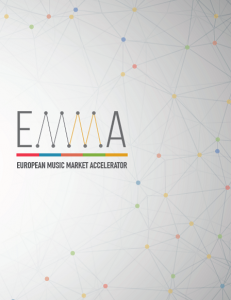 MESO Events starts new project with the European Music Market Accelerator (EMMA) network, a consortium created during the year 2017 at the initiative of MaMA event. For the past 9 years, MaMA has been organising conferences and debates, allowing music industry professionals to meet and share, notably concerning the increase of globalised problematic that arise since the start of the market’s mutation. Looking at issues with an international perspective allow us to see, for instance, how countries manage to solve them and share their knowledge with other region, which ensure an exchange of perception of the market that makes us stronger. With that strength, MaMA feels it is time to take a step further and try to apply this to another movement. MaMA has identified the need to capitalise on its network and experience in order to partake in the emergence of a more equal, united and dynamic music industry, strong of its promoted and protected cultural diversity. Project details and EMMA programme will be announced very soon. Stay tuned for more. 5. September, 2018 in News.